In Stuttgart, a case was tried in 2015/2016, in which games in Germany were also suspected of being manipulated and, for example, two Danish Premier League matches were postponed. 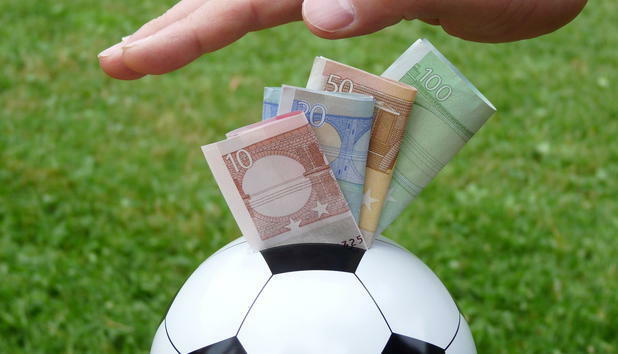 In both cases, an intermediary in Denmark contacted players to bribe them in order to achieve a certain score. The case of the German referee Robert Hoyzer, who was sentenced in 2005 to two years and five months in prison for match-fixing, is also fresh in German memory. Famed as “the king of gambling”, Ante Sapina was given a sentence of 16 years in Athens in 2018 after a legal proceeding lasting 14 years. 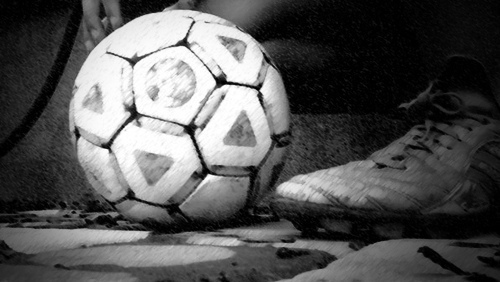 In more than 600 sporting events in Germany and abroad, investigators found signs of match-fixing. „We had some soccer players from the 2nd German league who had gambling debts with the perpetrators, for example, and then the player is caught like a fly in the catcher“, described a German prosecutor. Likewise, the Italian betting scandal („Calciopoli“) made a mark in the European history of match-fixing. Among others, the manager of Juventus Turin had manipulated referees’ decisions. He regularly called Serie A referees to coordinate with them the upcoming refereeing fixtures, or gave the „impartials“ instructions to show yellow cards to certain players. Juventus was then deprived of two championship titles and the club was forced to relegate. According to information from Sportradar’s Fraud Detection System, 1625 football matches worldwide were suspected of being manipulated between 2009 and 2014. Although these account for less than 1% of the games worldwide, it is still a considerable number. Most of them, 88%, were domestic games in one country. International club competitions or matches of national teams were rarely conspicuous. Also due to the lower coverage of FDS in lower leagues, about 1000 games of the first leagues (77%) were suspected of being manipulated. It were not the bets made before a game that turned out to be particularly susceptible to cheating, but live bets that took place during a game with odds adjusted to the course of the game. Most frequently, the Asian handicap market, in which the odds are changed by means of a virtual handicap, was suspicious. This market is completely unregulated and bets often take place without registration on the streets. According to the FDS’s analysis, match fixing largely referred to the final score of a match and the number of goals scored. Often, in such cases, we are dealing with a combination of illegal personal enrichment of players, referees, trainers or managers, as well as organized crime. Meanwhile, the so-called syndicates or the globally operating betting mafias also acquire entire teams for fraudulent activities or host „ghost games“ that only take place virtually in the betting rooms in order to place the fraud on an internationally organized and systematic basis. Organizational deviance, i.e. manipulation for the benefit of a legal organization (club or league) and involving no illegal personal gains, hardly seems to play a role here. However, if one takes a closer look at the referees, as we have done in a study of 434 referees in Germany during a research seminar of master students, one has to realize that organizational deviance also matters. Our findings indicate that the benefits for one’s own club or the orientation towards the interests of the referee association increase (in a hypothetical setting) the willingness to manipulate the games or the evaluation of the referee’s performance even without financial benefits. Striving for illegal personal gains was seen by many of the referees surveyed as being far more unrealistic than cheating for the benefit of the organization. According to the study by Hafner, Hansen and Linder, 15% of the referees stated that they are familiar with match-fixing either trough personal experience or through the stories of other referees. Often, there was pressure from referee colleagues occupying higher positions in the hierarchy to manipulate a match report or referee observation sheet. Furthermore, the experiences of the referees surveyed showed that loyalty to a club to which the referee feels attached also plays an important role. The expectation that a given referee would manipulate a game or a game rating in the event of attachment to his home club or due to the pressure from the referee association is significantly higher than in the case of illegal personal gains or individual career benefits. According to this study, individual deviance seems to play a minor role among referees vis-à-vis organizational deviance. Of course, based on this study we cannot say anything about the actual readiness of referees to cheat at games or manipulate their ratings. Nonetheless, with the help of hypothetical case situations (vignettes), we can point out mechanisms that influence their willingness to do so without having to recourse to bribery or organized crime. Finally, we have to conclude, however, that the German soccer team has lost the match against South Korea completely without match-fixing and thus there is no excuse for the failure of the German team in this aspect. Deutscher, Christian et al (2017): Match fixing and sports betting in football: Empirical evidence from the German Bundesliga, accessed on 06.29.2018. Hill, Declan (2014): Inside the Fixing: How a Gang Battered Soccer’s Frail Integrity, New York Times 06.01.2014, accessed on 06.29.2018. Hill, Declan & Longman, Jeré (2014): Fixed Soccer Matches Cast Shadow Over World Cup, New York Times 05.31.2014, accessed on 06.29.2018. Sport.de (2016): Vor 10 Jahren: Zwangsabstieg für Juventus, vom 14.07.2016, accessed on 29.06.2018. Sportradar (oJ): Monitoring & Detection, accessed on 06.29.2018.